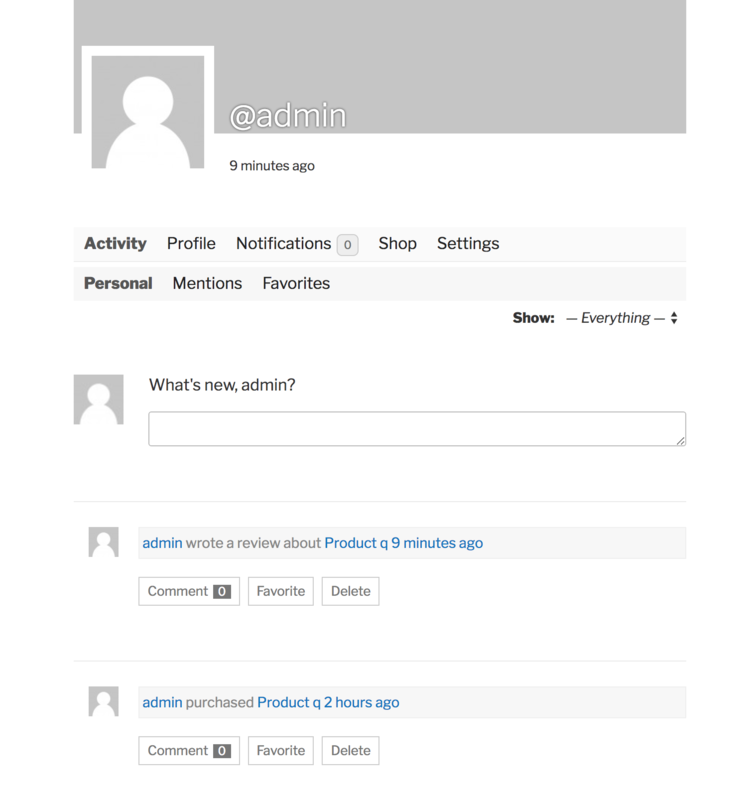 WC4BP publish into the BuddyPress Activity Stream when a user completes an Order and when the user makes a review into a Product. 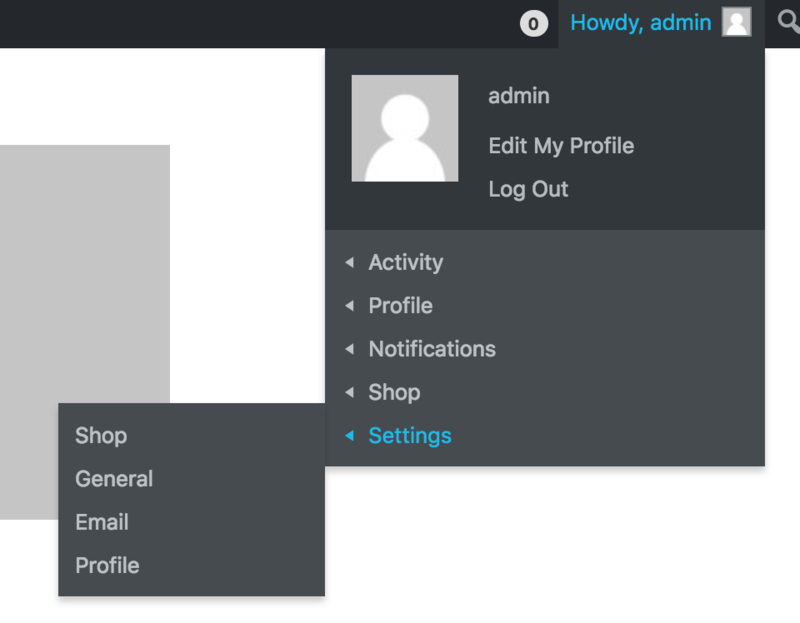 This option can be handled for each user in the BuddyPress Profile Settings. Like the next images. Also is possible to access to this settings tab trough Admin Menu. Or you can disable for all user form the WC4BP Setting page. 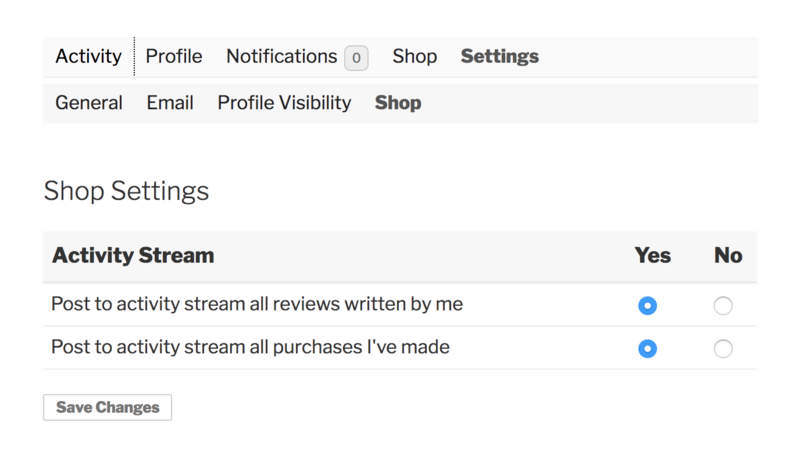 We plan to add more event into the Activity Stream, please let us know what you like to have here.